Jermaine Jackson, co-lead singer of global music brand, Jackson 5 and elder brother of late king of pop, Michael Jackson on Friday confirmed readiness to participate at the star-studded Jazz concert being put together by the Lagos State Government in commemoration of the 2016 International Jazz Day. The concert, which is to be hosted by Governor Akinwunmi Ambode, will hold at the Lagos House in Alausa, Ikeja on Saturday, April 30 by 5pm. 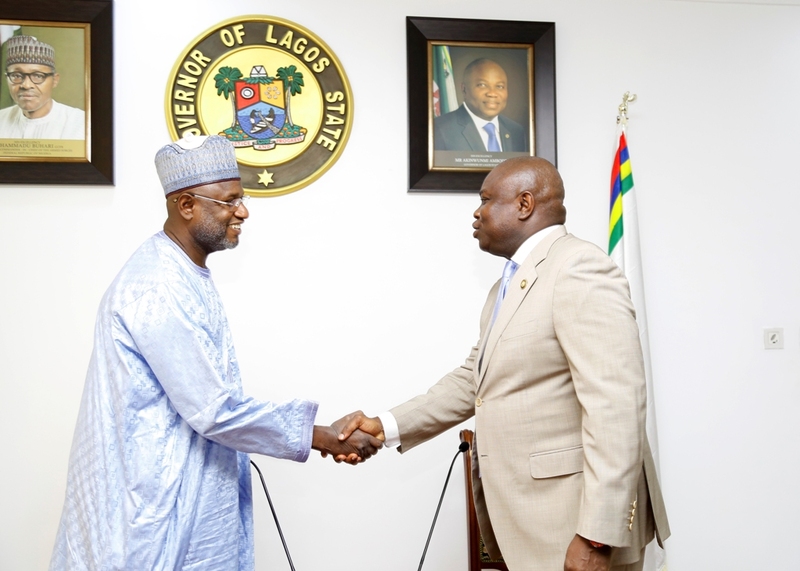 Jermaine, who confirmed his readiness to participate at the festival during a press conference held at the Lagos State Ministry of Information and Strategy, Alausa, said he would be at the festival to support the government and array of international and local artists who would be performing. 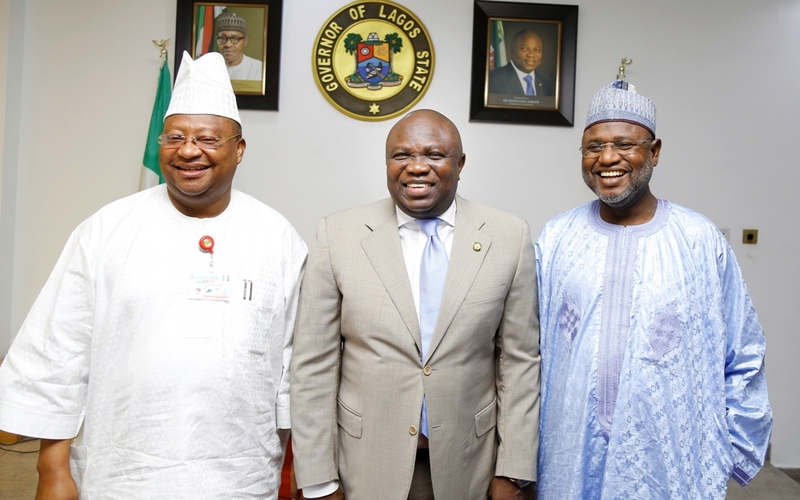 Commissioner for Information & Strategy, Mr. Steve Ayorinde (middle); Jermaine Jackson of the defunct Jackson 5 (left) and Special Adviser, Lagos Global, Prof. Ademola Abass (right) during Jackson’s visit to the Lagos State Government, at the Secretariat, Alausa, Ikeja, on Friday, April 29, 2016. 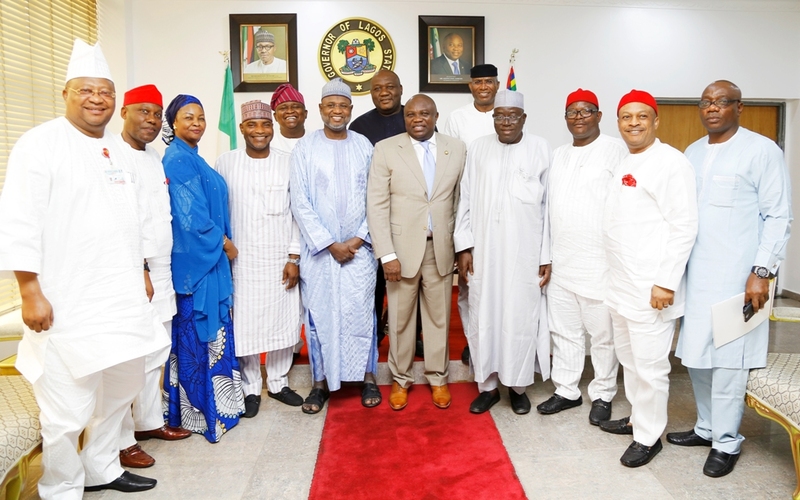 Jermaine, who is in Nigeria as part of activities marking the Jackson Golden Africa Tour, also disclosed plans by the Jackson 5 to establish a music academy in Nigeria to nurture and prepare the talents in Africa for global market. “We are going to give you nice compilation of songs that you know and I am just very honoured to be here because we have been kept away from you because of the politics and we are not interested in such politics because we are people who care about people. 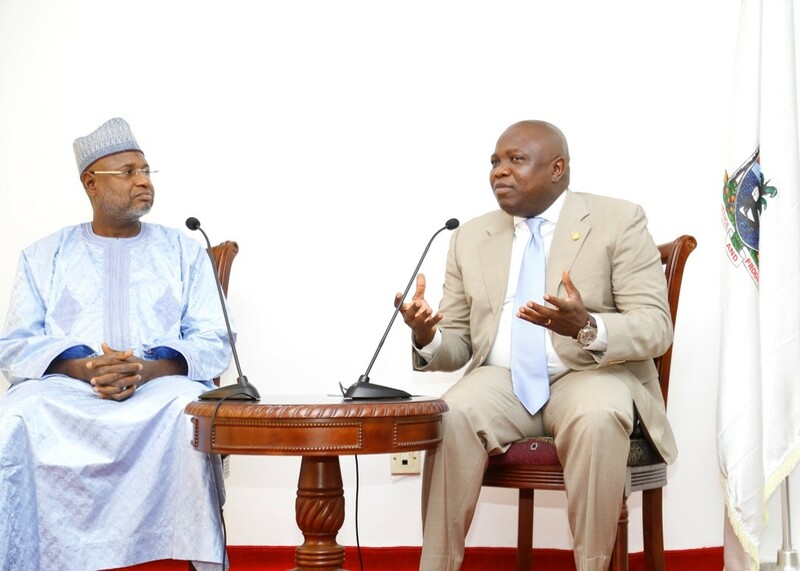 We need to have a closer relationship with African-American and the rest of Africa because we have been separated for long and we can reach out to do other things. Commissioner for Information & Strategy, Mr. Steve Ayorinde (right); with Jermaine Jackson of the defunct Jackson 5 during Jackson’s visit to the Lagos State Government, at the Secretariat, Alausa, Ikeja, on Friday, April 29, 2016. “There are lots of great talents here and we want to use our 50 years experience of being in the business to teach the arts. We have in our plans to establish Jackson Academy Performing Art School and the school will have a curriculum and also will teach music, directing, film, lightening, producing, dancing and so on. We want to get the talents here ready for the global market and I do believe that the drums and the beat started from here,” Jermaine said. 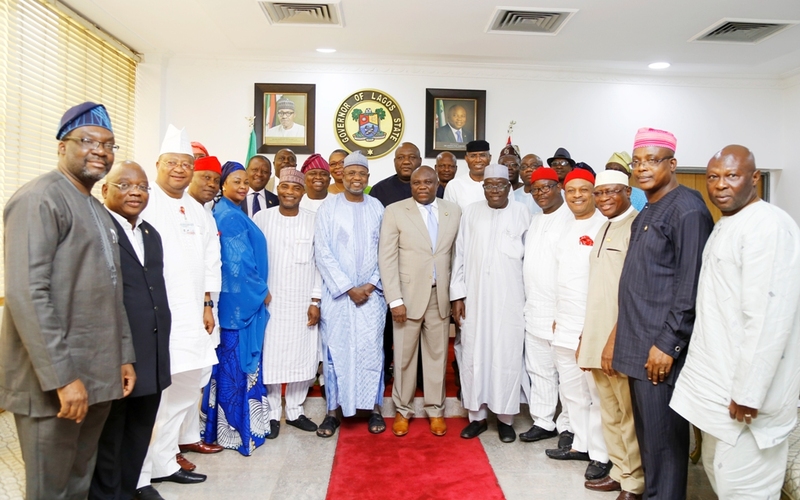 Earlier, the Commissioner for Information and Strategy, Mr. Steve Ayorinde, who received Jermaine and his entourage alongside the Special Adviser to the Governor on Oversees Affairs and Investment, Professor Ademola Abass and other senior officials of the Ministry, expressed delight to receive the visitors to the state. 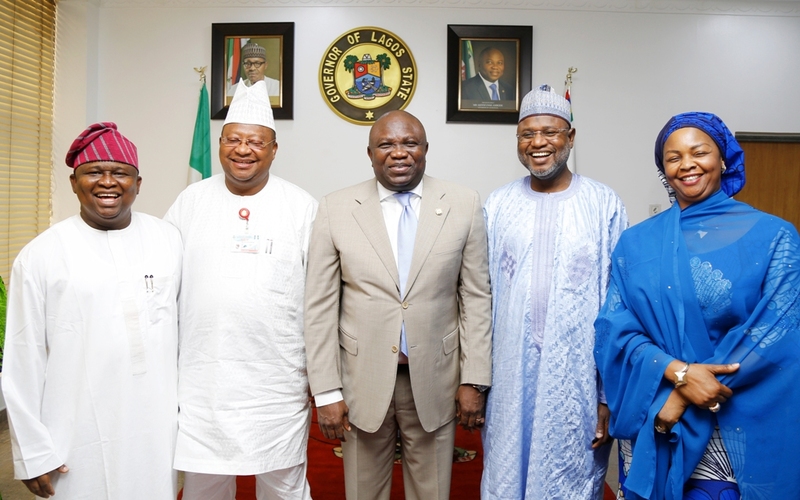 R-L: Permanent Secretary, Ministry of Information & Strategy, Mr. Fola Adeyemi; Special Adviser, Lagos Global, Prof. Ademola Abass; Commissioner for Information & Strategy, Mr. Steve Ayorinde; Jermaine Jackson of the defunct Jackson 5 and Chief Executive Officer, Arena Plus International, Mr. Kunmi Akinade during Jackson’s visit to the Lagos State Government, at the Secretariat, Alausa, Ikeja, on Friday, April 29, 2016. 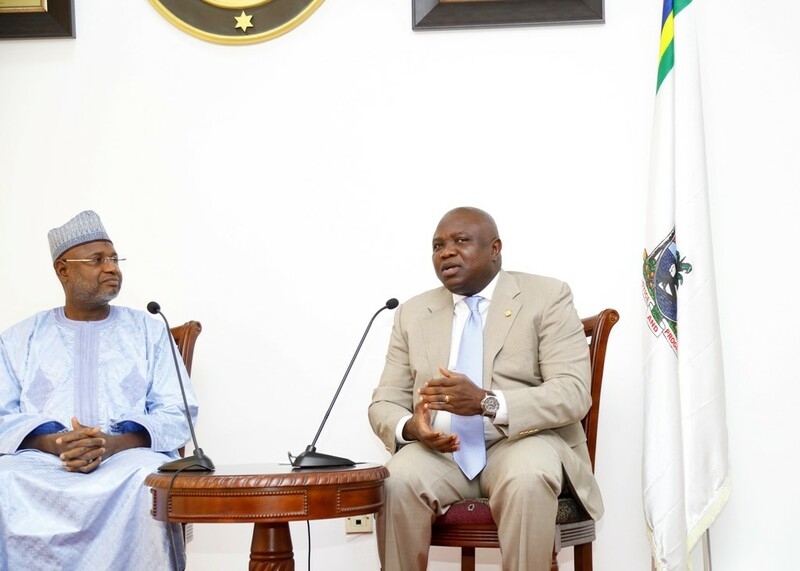 Ayorinde added that the visit of the Jacksons to Nigeria in commemoration of the 50 years anniversary coincided with preparations by the Lagos State Government to mark the 50 years anniversary of the state in 2017, and welcomed collaboration with the Jacksons in that regard. 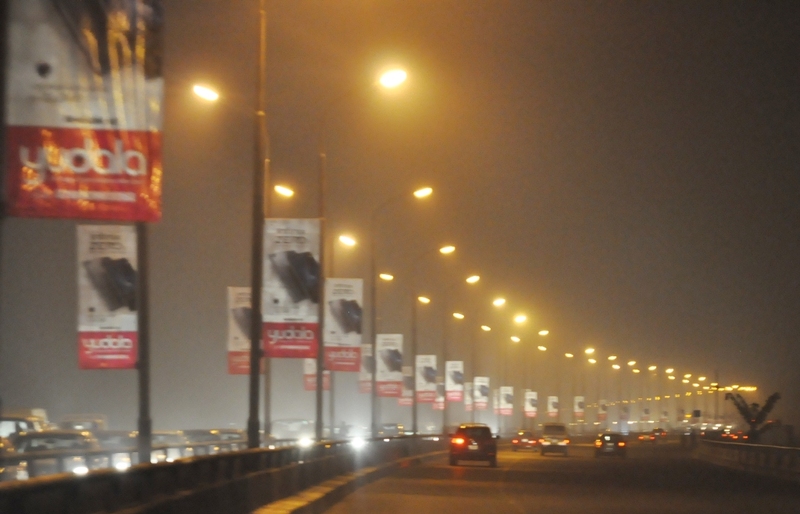 In line with the ongoing statewide “Operation Light up Lagos” project, the Lagos State Government has completed the illumination of the Third Mainland Bridge. 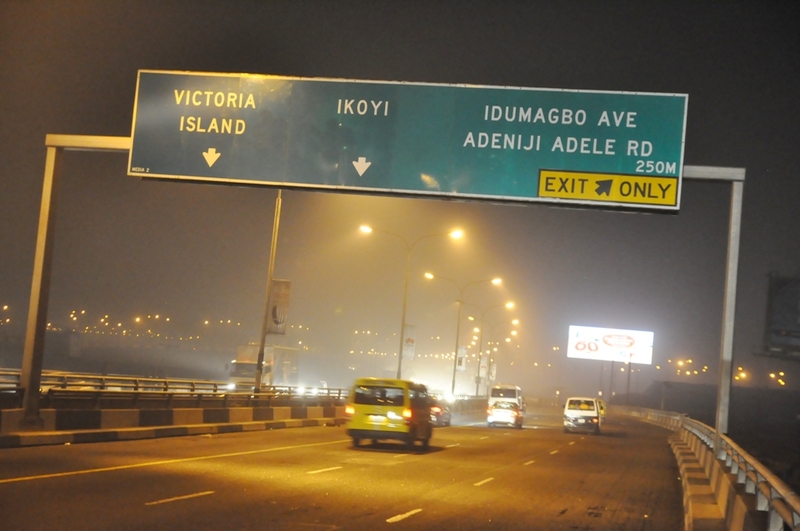 This Lagos initiative begins from the Ojodu Berger section of the bridge and covers the entire sections of the bridge. 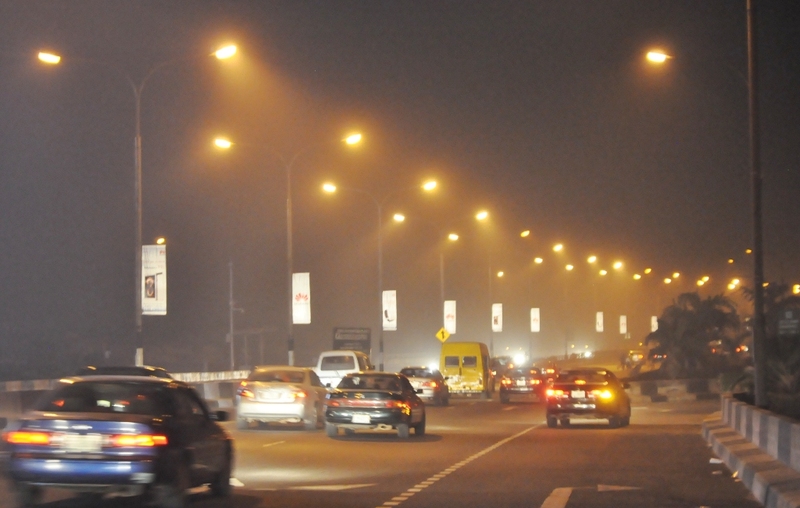 According to a statement signed by Steve Ayorinde, Commissioner for Information and Strategy, the Third Mainland Bridge constitutes an important segment of the road network in the state, as such, the state Government cannot overlook its importance as it also serves as a connecting point to the high brow economic pot of the state. 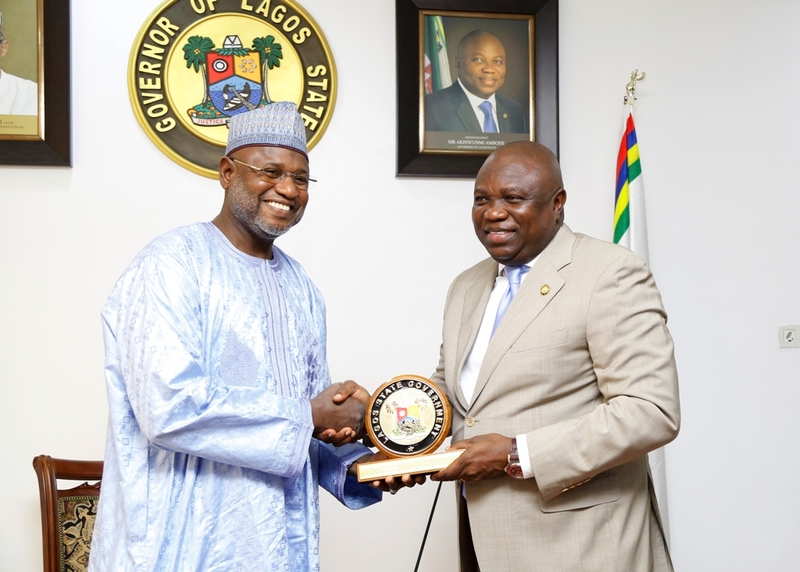 He further explained that the effort is to fulfill the 24/7 economy promised by the State Governor, Mr. Akinwunmi Ambode during his electioneering campaign period. 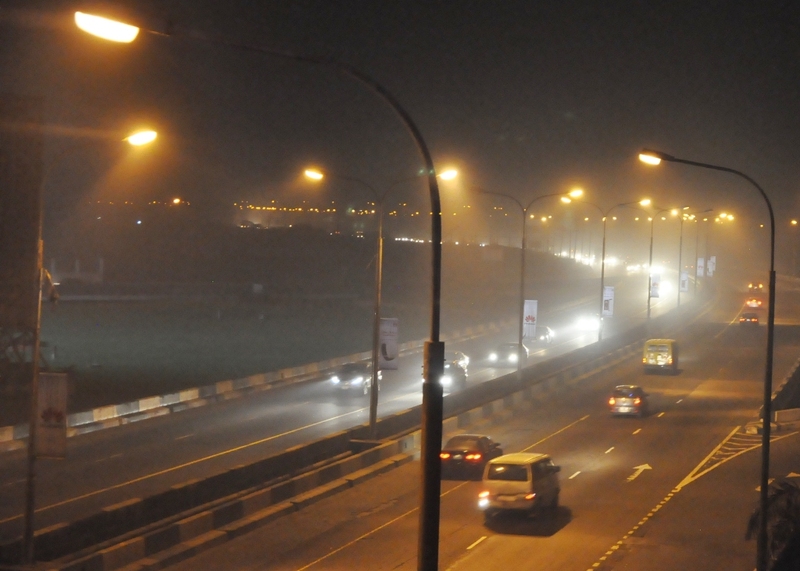 “The economy of Lagos has gone beyond the day driven transactions, as such, the night economy component should be fully developed. 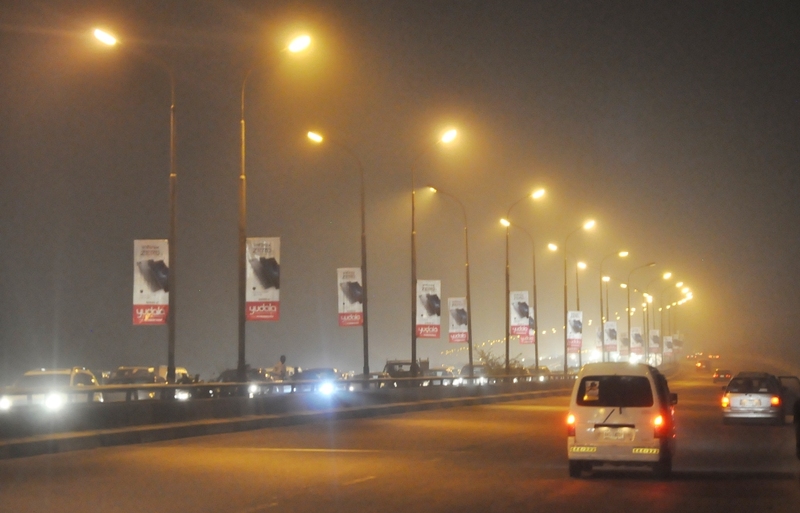 “Every businessman wants to invest in a safe and secured environment. 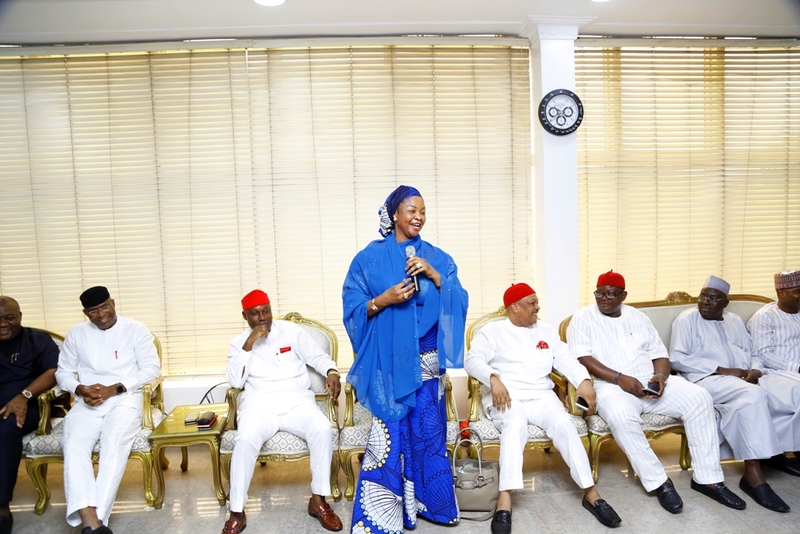 Once an investor is assured that the operating environment is safe and secured; the assurance of more investment is guaranteed,” Ayorinde said. 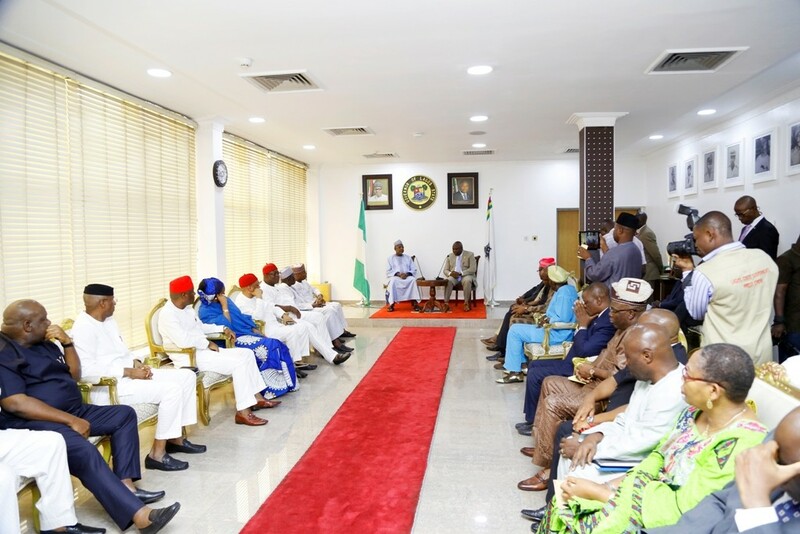 Other reason for this project, the statement said, is geared towards promoting further collaboration with the Federal Government, which is expected to go a long way to cement a good working relationship as well as boost the economy of the state and Nigeria. 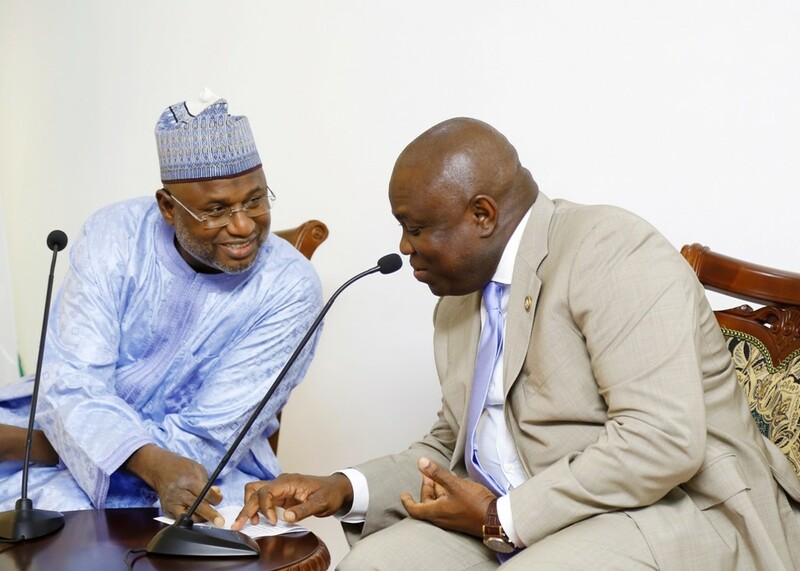 Some other areas that have been lit up under this project include, Ikorodu to Lagos Island, Ikeja, Oshodi, Victoria Island and Ikoyi, Eko Bridge, among others. 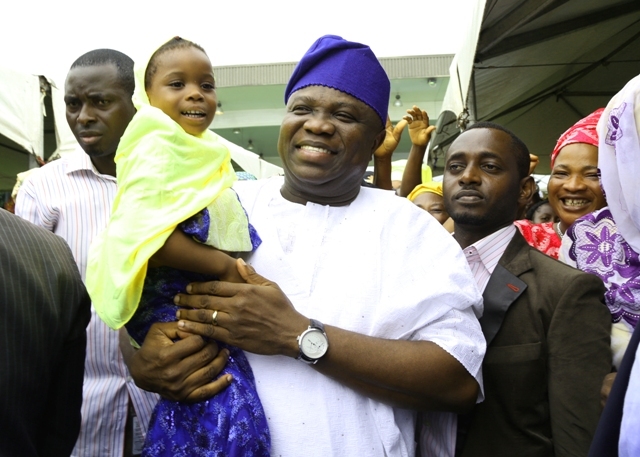 Lagos State Governor, Mr. Akinwunmi Ambode (middle) carrying a young muslimah during the Eid-el-Kabir Celebration organized by the Ministry of Home Affairs at the Lagos House, Ikeja, on Thursday, September 24, 2015. 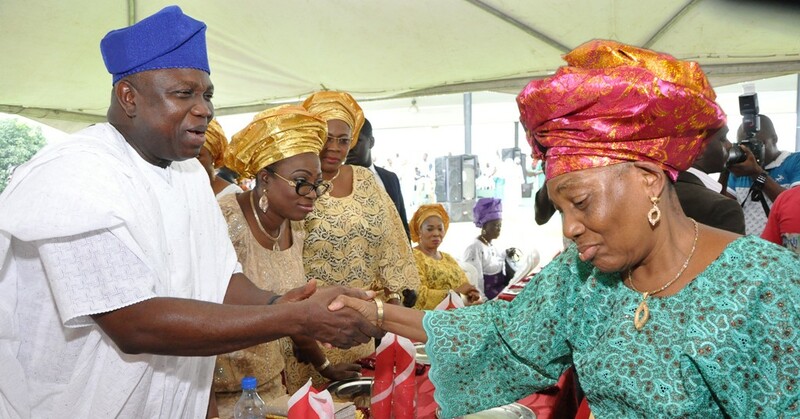 Lagos State Governor, Mr. Akinwunmi Ambode (left) in a warm handshake with wife of first civilian Governor of Lagos State, Alhaja Abimbola during the Eid-el-Kabir Celebration organized by the Ministry of Home Affairs at the Lagos House, Ikeja, on Thursday, September 24, 2015. 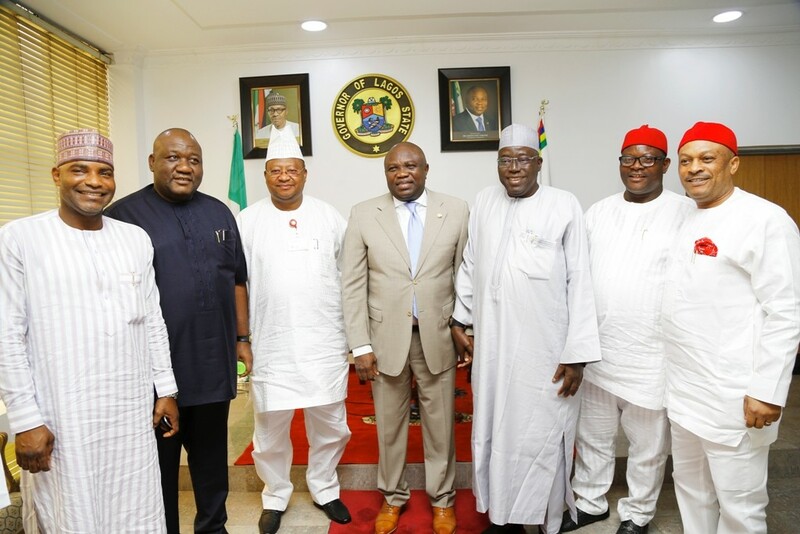 With them are the First Lady of Lagos State, Mrs. Bolanle Ambode (2nd left) and wife of Chief of Staff to the Governor, Mrs. Aderonke Ojo (3rd left). 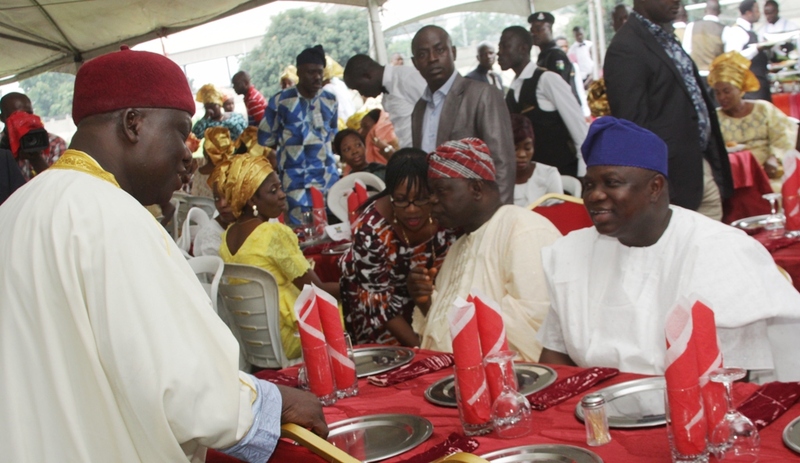 Lagos State Governor, Mr. Akinwunmi Ambode (middle) with his wife, Bolanle and his Chief of Staff, Mr. Olukunle Ojo during the Eid-el-Kabir Celebration organized by the Ministry of Home Affairs at the Lagos House, Ikeja, on Thursday, September 24, 2015. 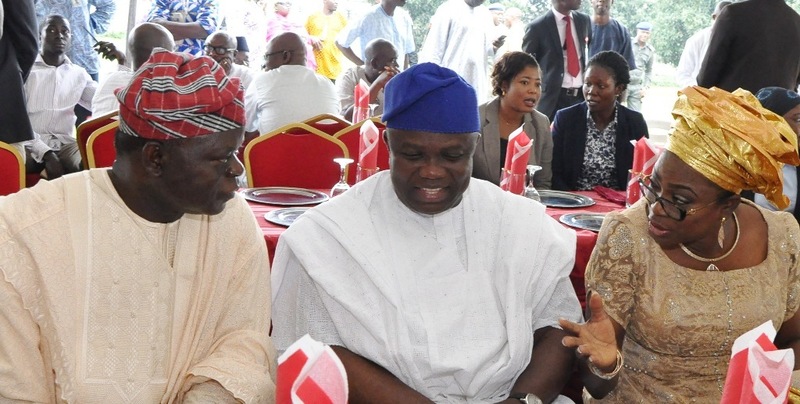 Lagos State Governor, Mr. Akinwunmi Ambode (right) with the Chief Imam of Alubarika Mosque, Abule Egba, Alhaji Musibaudeen Alubarika (left) during the Eid-el-Kabir Celebration organized by the Ministry of Home Affairs at the Lagos House, Ikeja, on Thursday, September 24, 2015. 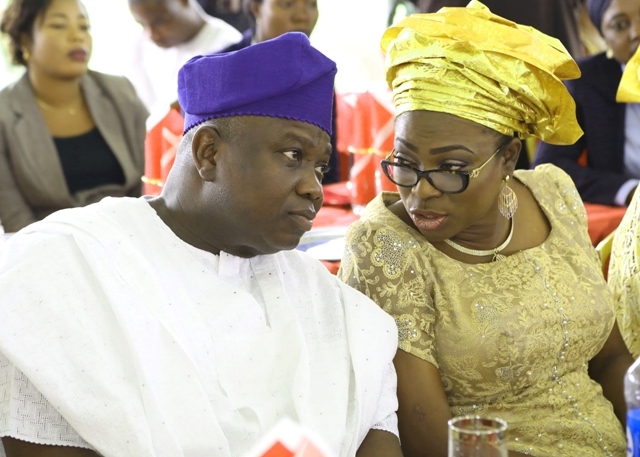 L-R: Lagos State Governor, Mr. Akinwunmi Ambode (2nd left), Chief of Staff, Mr. Olukunle Ojo, First Lady of Lagos State, Mrs. Bolanle Ambode, Mrs. Aderonke Ojo and All Progressives Congress National Women Leader, South West, Chief (Mrs.) Kemi Nelson during the Eid-el-Kabir Celebration organized by the Ministry of Home Affairs at the Lagos House, Ikeja, on Thursday, September 24, 2015. 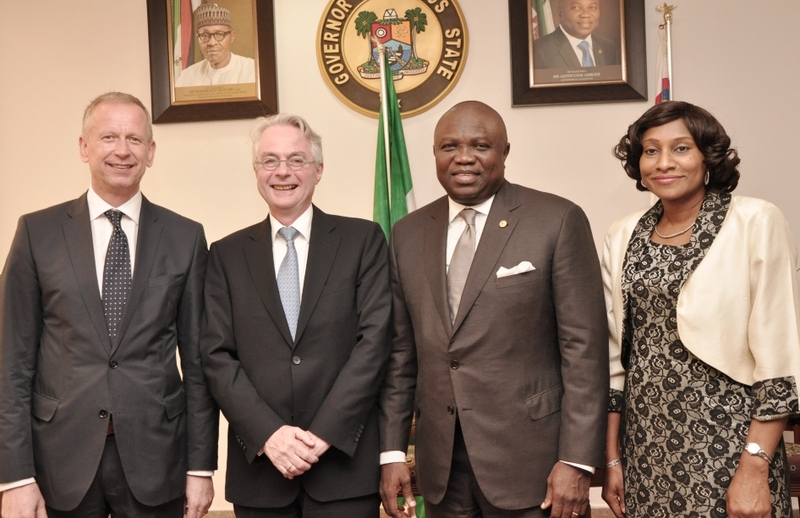 Lagos State Governor, Mr. Akinwunmi Ambode (2nd right), the Ambassador of the Republic of Germany to Nigeria, Mr. Michael Zenner (2nd left), Consul General of the Federal Republic of Germany, Lagos, Mr. Ingo Herbert (left) and the Permanent Secretary, Office of Overseas Affairs & Investment (Lagos Global), Mrs. Arinola Olufunmilayo Odulana (right) during the Ambassador’s courtesy visit to the Governor, at the Lagos House, Ikeja, on Monday, September 14, 2015. 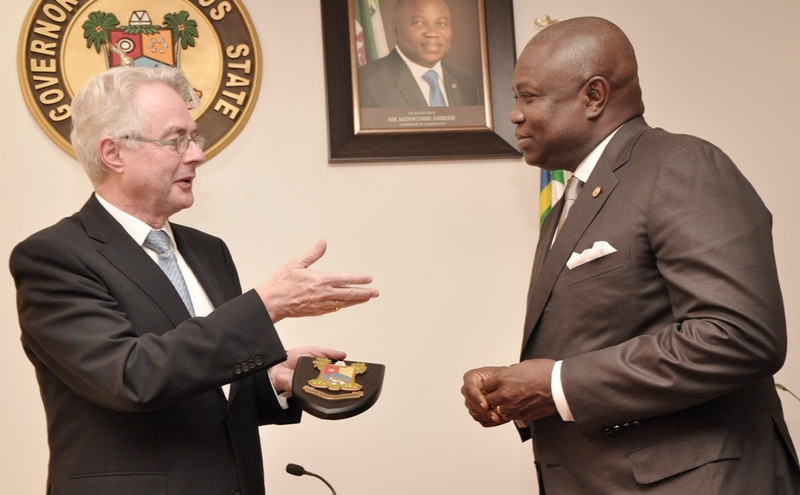 Lagos State Governor, Mr. Akinwunmi Ambode (right) with the Ambassador of the Republic of Germany to Nigeria, Mr. Michael Zenner (left) during his courtesy visit to the Governor, at the Lagos House, Ikeja, on Monday, September 14, 2015. 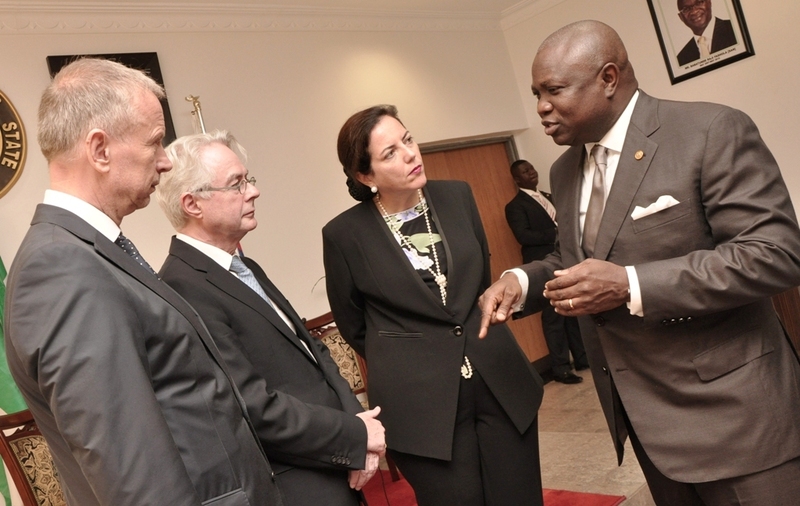 Lagos State Governor, Mr. Akinwunmi Ambode (right) discussing with the Ambassador of the Republic of Germany to Nigeria, Mr. Michael Zenner (2nd left), Consul General of the Federal Republic of Germany, Lagos, Mr. Ingo Herbert (left) and the Group Management Committee, Knauf Region Southern Europe, Middle East, Africa, Mrs. Isabel Knauf (2nd right) during the Ambassador’s courtesy visit to the Governor, at the Lagos House, Ikeja, on Monday, September 14, 2015. 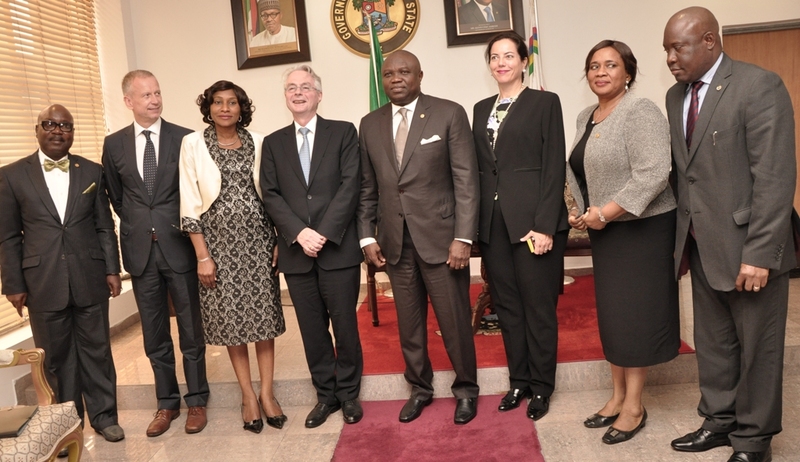 Lagos State Governor, Mr. Akinwunmi Ambode (4th right) in a group photograph with the Ambassador of the Republic of Germany to Nigeria, Mr. Michael Zenner (4th left), Consul General of the Federal Republic of Germany, Lagos, Mr. Ingo Herbert (2nd left), the Permanent Secretary, Office of Overseas Affairs & Investment, Mrs. Arinola Olufunmilayo Odulana (3rd right), Acting Permanent Secretary, Ministry of Energy & Mineral Resources, Mr. Adeyemi Fashola (left), the Group Management Committee, Knauf Region Southern Europe, Middle East, Africa, Mrs. Isabel Knauf (3rd right), the Permanent Secretary, Ministry of Wealth Creation & Employment, Dr. (Mrs.) Nike Oduwole (2nd right) and her counterpart from Ministry of Transportation, Mr. Oluseyi Whenu (right) during the Ambassador’s courtesy visit to the Governor, at the Lagos House, Ikeja, on Monday, September 14, 2015.